Hello! Hope everyone is having a good week! But I'm not here to bring you down. I'm just offering another update on Kansai-ben （●´－｀●）. Now these particular phrases I want to explain took a bit of time to get down. Even now, I don't use them so often, it's hard for me to really get them in my rhythm of daily conversation. I'm still feeling unsure about that one though, so I'm going to double-check on Friday ヽ(´▽`)ノ. 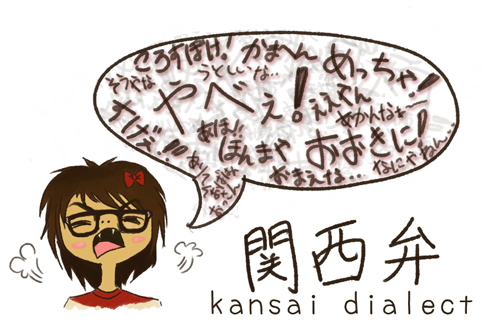 This phrase is often used as せやろ (seyaro) which is equivalent to "I told you so." But on it's own, it has a few different meanings. For example: I guess, I think, don't you think, I wonder, seems to be. I think this word is used fairly often in kansai and it's equivalent to the phrase "it cannot be helped" or "there's no helping it." A direct translation would be "there is no way." I got a couple others, but I'll save that for another post (don't want to get too wordy). Let me know if you have any trouble with my explanations. I've never tried to teach anyone before (well, 'cept for little babes～(´ー｀～)) so I'd like to know if there are any issues.